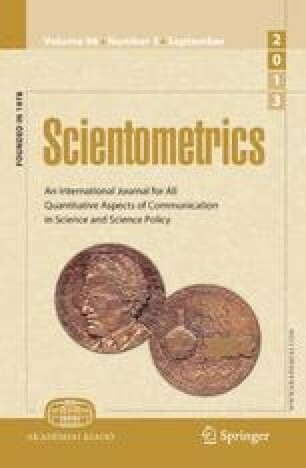 Scientometrics — What to do? Turning under the aegis of our (former) classic once again:The World is ruled by spontaneity which escapes rationally oriented science. And we, as properhuman beings, and (former) disciples, may solemnly become itspsychosomatic devices. Or, if indeed,-metrics is actually in a difficult situation, let us try and help. No classics are needed for that, are they? Any task left, for a (former) empirist? Occasionally, it is worth having a choice. Comments on the paper byW. Glänzel, U. Schoepflin,Scientometrics, 30 (1994) 375.